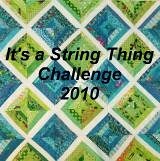 "This is my bright strings quilt. 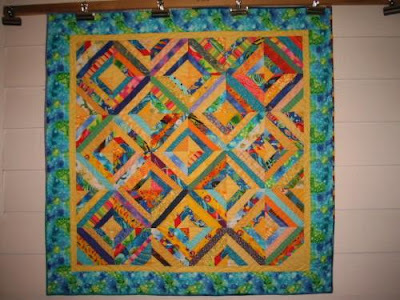 The entire quilt which measures 45" by 45" was made of scraps from previous projects. I tried to keep the strings in two color families. My string bin in still bulging so I can start another one for next month in a new color combo".